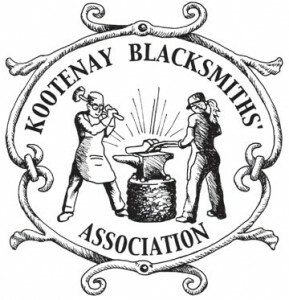 The KBA was formed in 1996, twenty three years ago by a group of people interested in various aspects of blacksmithing. 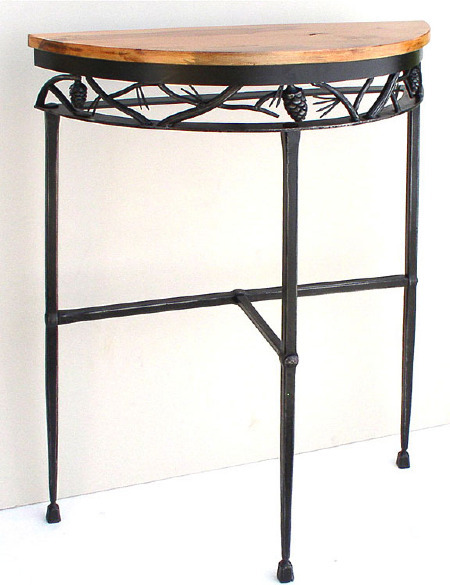 The KBA is a regional group, and an affiliate of the Artist Blacksmith Association of North America (ABANA), the world’s largest organization of blacksmiths. Originally composed of members living in the Kootenay region of south-east British Columbia, Canada, the group now has about 45 members ranging from the Okanagan region of BC to southern Alberta. Our members range from full-time professional smiths, part-time smiths, and hobbyists. Membership is open to all! Visit our Contact Us page on how to become a member. Our association meets twice annually, once in the spring and again in the fall. Occasionally a one-day hammer-in will take place among members living close together. Please see our Upcoming Events page for details. We have a new batch of KBA t-shirts for sale at $15 each. They come in black, red, dark blue and khaki. These will be available at the spring event in May 2018. Here is a picture of the table that was auctioned in November 2009 to benefit the Sundre Public Library. Members at the fall conference that year made the components on the Sunday and it was assembled the following week by Chris Waters. Barry McElheeny of Sundre supplied the pine top. “The Sundre Library would like to thank the KBA for their contribution to the Tables for Tales charity auction. It raised $400.00 for the library. The funds raised during the event will go to improving literature inventories. Thank-you again”. To share our knowledge of the craft with each other. Encourage young people interested in the craft. To bring in demonstrators skilled in specific techniques to teach us. To develop a library of books, magazines, and videos related to blacksmithing and some other metal arts. To publish a quarterly magazine with news, a calendar of events, tips and techniques, and other content of interest to the membership.